Does your land have a large slope or a significant height difference somewhere on your property? If you would rather walk down stable stairs instead of a slippery decline let us install a retaining wall for you. With retaining walls we can give you more level, usable land. We can terrace your property so that you have more space for lower beds, grass or maybe a patio. 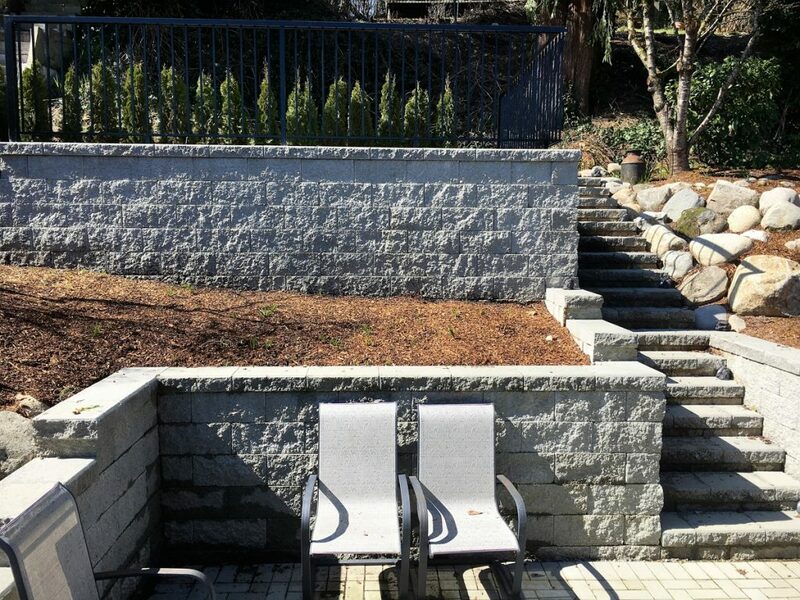 We can build retaining walls from wooden landscape ties, allan block concrete stones, or a natural rock such as granite. Your retaining wall could be as small as a foot high or as large as you can imagine. All walls over 4 feet in height must be built in compliance with municipal engineers, which can be costly, so whenever possible we can design your walls to remain under this 4 foot height restriction to help you save money. We build all walls to industry specifications that include adequate drainage behind the wall which will prevent it from being pushed out by the forces of nature. Stairs are one of our specialities. 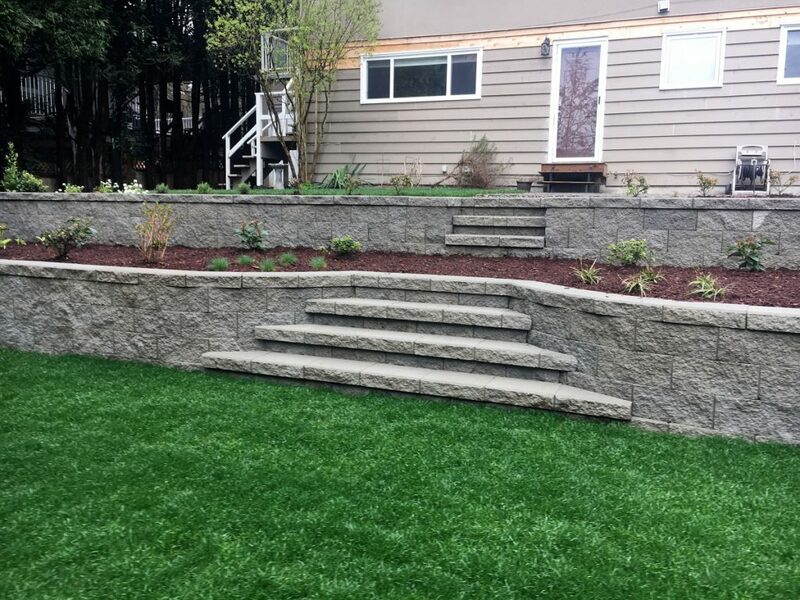 All stairs built by Nicholson Landscaping are properly sloped to allow water drain off, preventing water from remaining on the stair and reducing the risk of ice building up on them in the winter. Stairs built by us are safe! The material we use is up to you. Building a staircase into a retaining wall is always a pleasing look and allows easy, safe access to the other areas of your garden. We build all stairs to the proper step height and, if you like, with railings for your added safety. Full Landscape Services to all types of homes! We serve the Tri-Cities area, Anmore, Belcarra, North Surrey, Pitt Meadows, and Maple Ridge. 2017 Nicholson Landscaping. All rights reserved.